PhD and doctoral level professional students will be recognized by name as they cross the stage at the University-wide Doctoral Commencement. Graduates are welcome to attend and be recognized at the PHHP Spring Recognition Ceremony as well. All bachelor’s, specialist’s and master’s degrees will be conferred at this ceremony; individual degree candidates will not be recognized. College of Public Health and Health Professions students will be individually recognized at the PHHP Spring Recognition Ceremony. Please visit the UF Commencement website for additional information regarding participation in either of these events. Will my name be called as I walk across the stage? Yes! All College of Public Health and Health Professions bachelor’s and master’s candidates will be recognized by name as they cross the stage at the Spring Recognition Ceremony. Doctoral candidates who are in attendance will also be individually recognized but will not be hooded given the hooding ceremony takes place at the UF-wide commencement. Students should wear academic regalia to the PHHP Spring Recognition Ceremony. Students should arrive stage ready (dressed in full regalia and ready to walk on stage). The deadline to order your regalia is March 13, 2019. Please note that the UF Bookstore will not be on site the day of the event. Where do I get a name card and do I bring it to the ceremony? Students will receive name cards at the Bookstore when picking up regalia. Please bring your completed name card to the recognition ceremony. Blank cards will be available on site should you misplaced your name or no longer have it (in the case of PhD graduates). Do I need tickets to attend the ceremony? How many guests can I bring? No tickets are required. 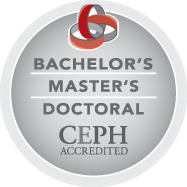 There is no limit to the number of guests an individual student may bring to the either the PHHP Spring Recognition Ceremony or the University Wide ceremonies. At what time should I arrive? Where do I go once I get to the O’Connell Center? Students should arrive at 7:30AM and will gather at Gate 4. Marshals and staff will escorts students into the building. Remember full regalia is required at this event. Also, please note that there storage for your personal items is not available on site. We recommend students leave their personal belongings with their guests. Students will be required to pass through the metal detectors now in place at the O’Connell Center. At the end of the ceremony, students will process out of the O’Connell Center through Gate 2. What gate should guests go to? Guests will be admitted through Gate 1. Guests will be required to pass through the metal detectors now in place at the O’Connell Center. At the end of the ceremony, guests will exit at Gate 1 and meet with their student at Gate 2. What if I or my guests require accommodations? 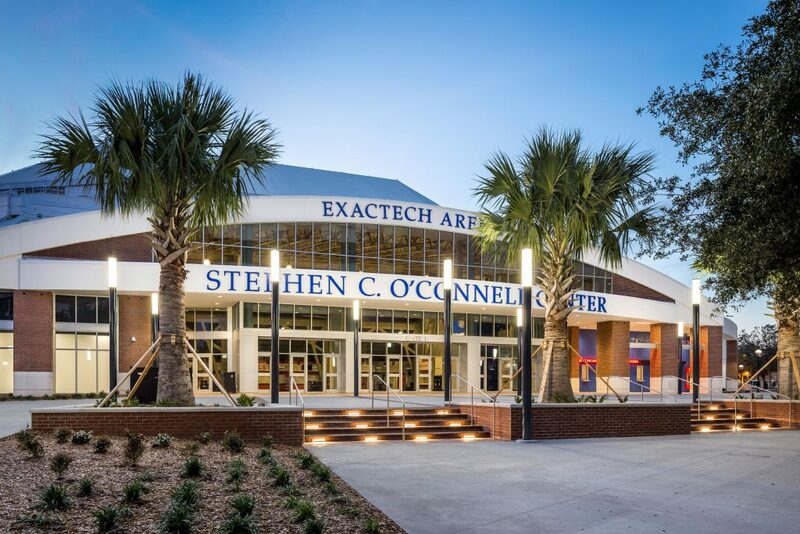 Information regarding the venue’s accessibility may be found on the O’Connell Center webpage: https://www.oconnellcenter.ufl.edu/general-information/accessibility-information/. The staff of the O’Connell Center is committed to assisting persons with disabilities. Anyone needing assistance should contact the administrative office at 352-392-5500 or by TDD 1-800-955-8771.. The parking garage in front of the O’Connell Center is available for PHHP students and their families to park. Additional parking may be found throughout campus. Parking will be lifted throughout campus graduation weekend. Campus parking information may be found here.